Abdul Sattar Edhi was born on 1 January 1928 and was a Pakistani philanthropist, Social activist, ascetic and humanitarian. 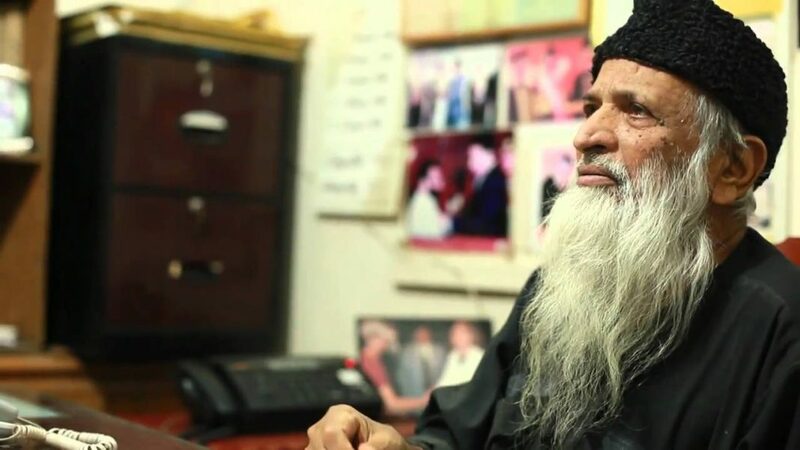 He was the founder and the head of Edhi Foundation in Pakistan. He was known as Angel of Mercy and was also considered a living legend before his death. He was called “the greatest living humanitarian in the world” in a 2013 article in The Huffington Post. The great man started his organization by standing on the road and collecting donation, NOT BEGING but collecting donation only from those who were whiling to donate. He never spent a single rupee on himself but he saved it for those who were in need. Abdul Sattar Edhi and his wife Bilquis Edhi gave home to many orphans and people who were actually abandoned, they held their hands. Abdul Sattar Edhi believed that ‘there is no religion bigger than humanity’ and he proved it with his work for the country and the people without any sign of corruption and nor he ran his organization for money. The man is believed to live a simple life being a humble man and as a father of the nation. Abdul Sattar Edhi was known to be the king of humanity and no other person can take his place. He didn’t require the nobles but the nobles required him. Edhi sir showed his care for people and his love for his country. Now the nation mourns for the death of the legend. Abdul Sattar Edhi was so ill before his death that the Former president of Pakistan Mr. Zardari personally asked him to take him abroad for his medication but he refused and being not able to speak he still managed to die peacefully in his country as per his demand. 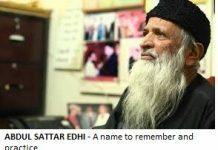 Abdul Sattar Edhi’s last request was his organs to be donated after his death but due to his ill health, only cornea was suitable. Indeed the man was a superman of humanity. The great man died on 8 June 2016 but is still alive in our hearts. Indeed he is the father of the nation. A man who took care of the orphans and gave them hope now left all of us Pakistanis as orphans. The Legends are dying and I wonder who will be inspiring the next generation.